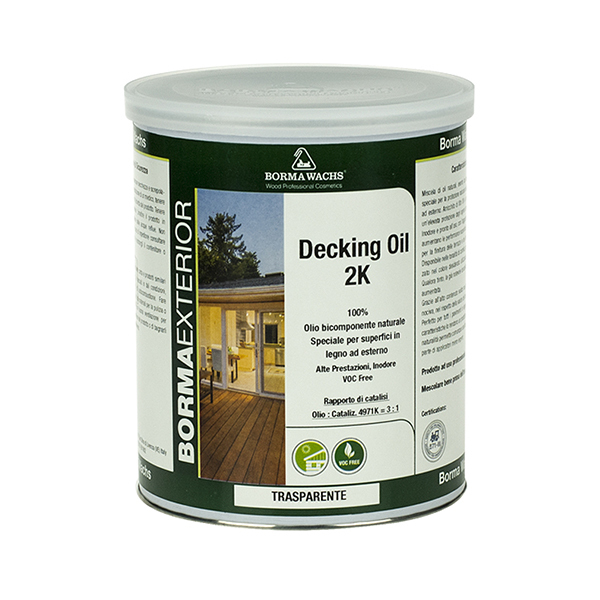 Two components water-based lacquer ideal for exterior flooring and surfaces in wood in general, with a pleasant decorative effect. It gives excellent protection against atmospheric agents and against normal wear. Natural effect, it does not affect wood shade. 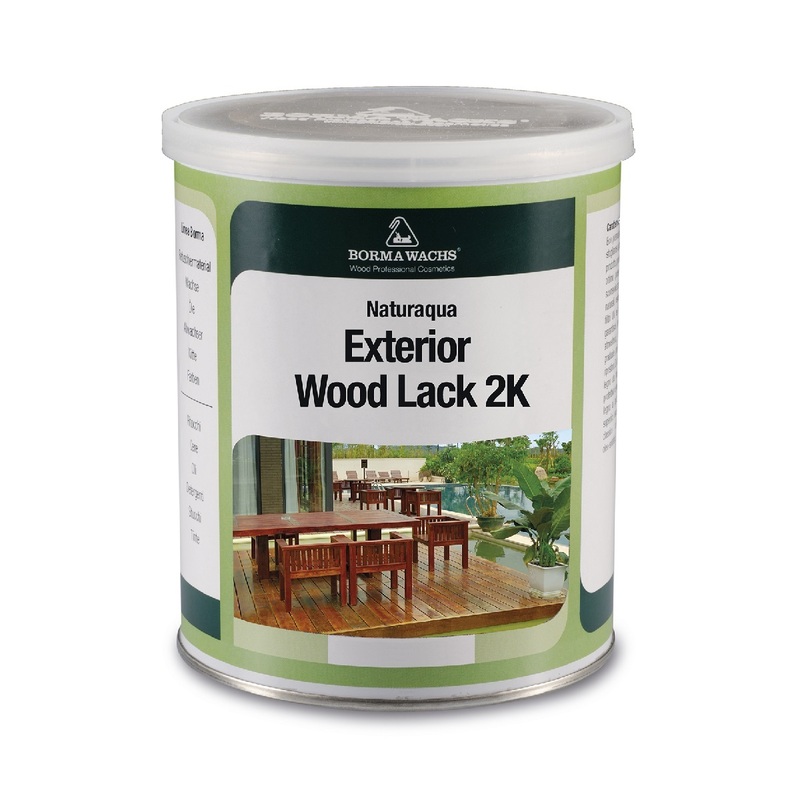 To guarantee the best performance, you are advised to apply the product as a first coat diluted 1:1 in water or Wood Sealer. Preferably avoid application on heated supports or in direct sunlight. Catalysis ratio: 10:1 - Pot life: 2-3 hours at 20°C. Also available in the polished version with dedicated catalyst. Catalysis ratio: 10:1. 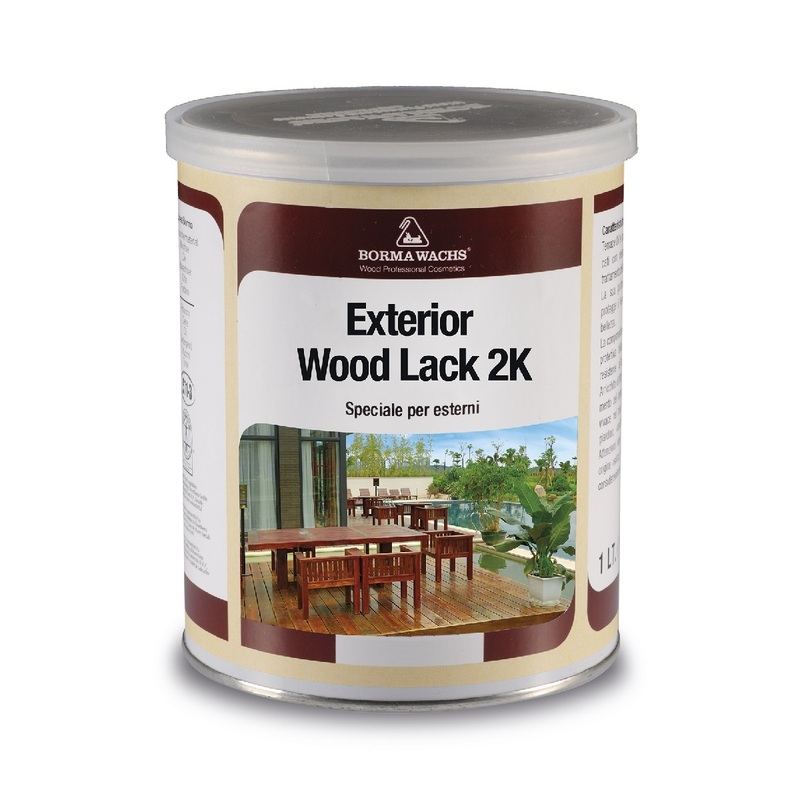 To guarantee the best performance, you are advised to apply the product as a first coat diluted 1:1 in water or Wood Sealer, or Naturaqua Holz Lasur. Preferably avoid application on heated supports or in direct sunlight. Suggested application: 2 coats. Overpaintable after 2-4 hours. Total dry time: 24 hours.